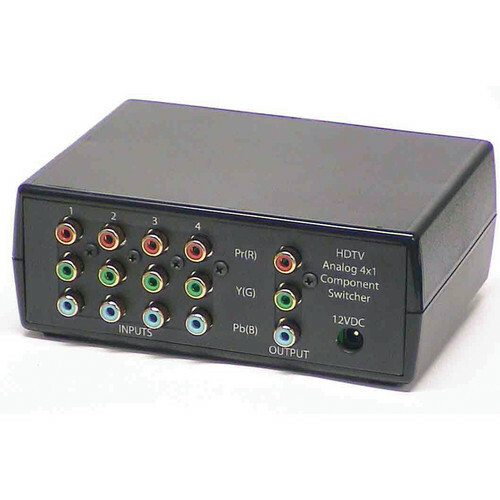 The Ocean Matrix 4 x 1 HDTV Analog Component RCA Video Switcher switches 480i, 480p, 720p, and 1080i, and does not degrade your video signals. It features four component RCA inputs and one component RCA output. It comes with an IR Remote Control.